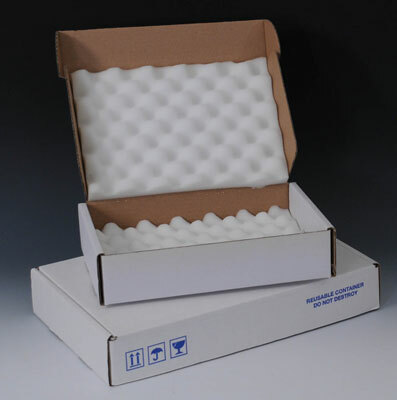 Reusable boxes are fitted with two layers of soft polyurethane foam to protect against static and shock damage. Interlocking, non-abrasive foam fingers hold contents in place. Box lip has print that states "Reusable Container Do Not Destroy."